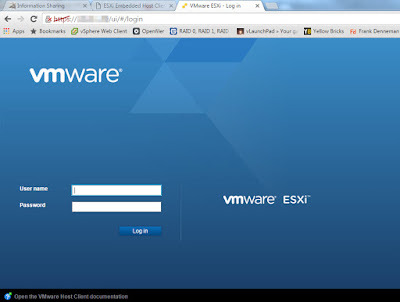 The VMware Host Client is an HTML5-based client that is used to connect to and manage single ESXi host directly from web browser. It can be used to perform administrative tasks to manage host resources such as virtual machines, networking, and storage. The VMware Host Client can also be helpful for troubleshooting individual virtual machines or hosts if vCenter Server and the vSphere Client are unavailable. 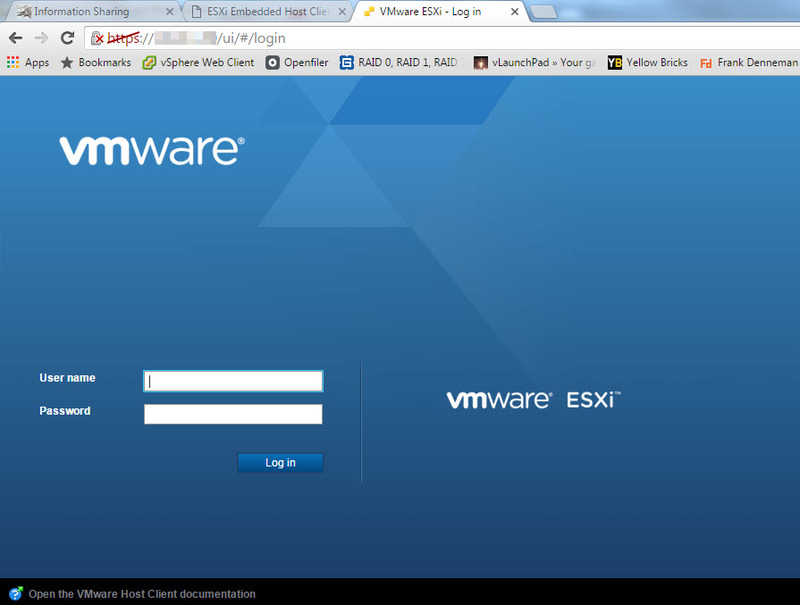 The ESXi Host Client is part of ESXi 6.0 Update 2 now: Earlier it was available as a ESXi Embedded Host Client Fling only, so we have to install it before connecting to host via browser (supported for ESXi5.x and later). The utility is bundled as a vib and can be installed on ESXi host via SSH without the need to reboot the host. 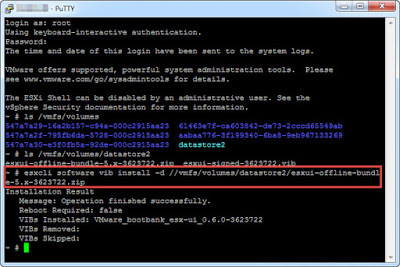 In vSphere 6.0 Update 2, VMware continues to support the vSphere Client, but you now have the option of using the VMware Host Client instead of the vSphere Client to perform similar host-based operations. Support for the latest hardware version. Basic virtualization operations, such as deploying, configuring, and editing virtual machines of various complexity, including console access to the virtual machines. Creating and managing network and datastore resources. Displaying current host and resource settings, including graphs of performance and utilization, and logs of host components to help troubleshooting. Advanced tuning of host level options to improve performance.